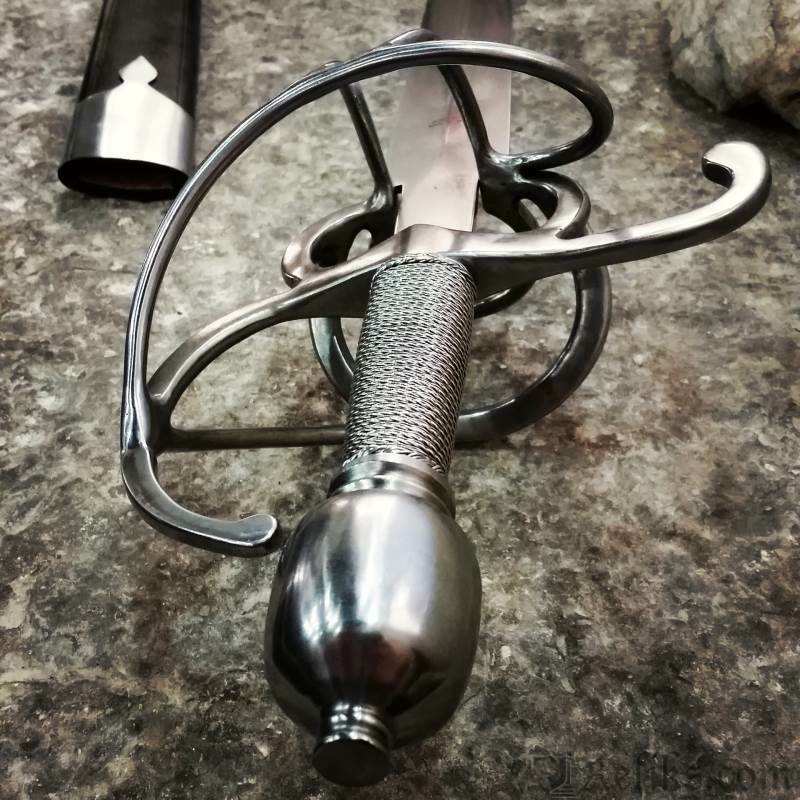 Often considered the perfect balance between a stout arming sword and the finesse of a rapier, cut and thrust swords generally featured Renaissance styled hilts with a thicker blade similar to the arming sword. 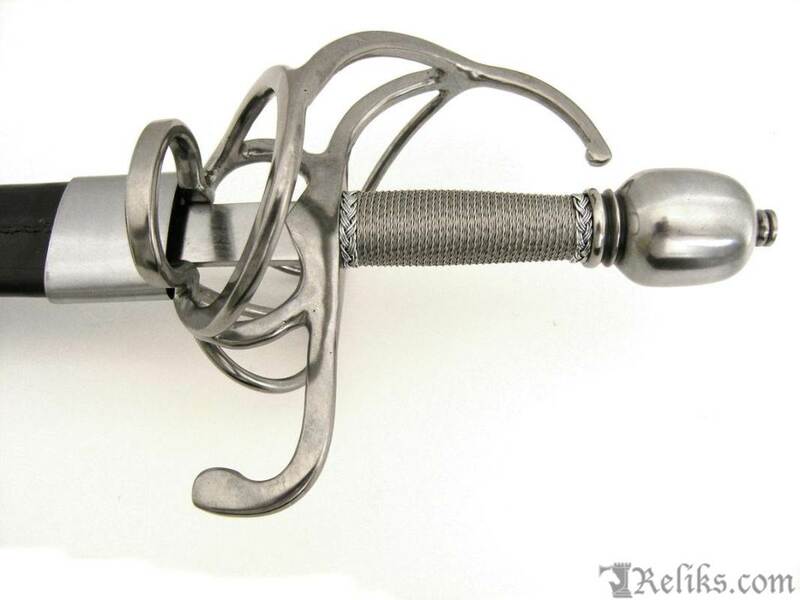 These nimble swords were quick to thrust like the rapier while possessing the strength of the classic medieval sword for cutting and were popular side arms during the 16th and 17th centuries. 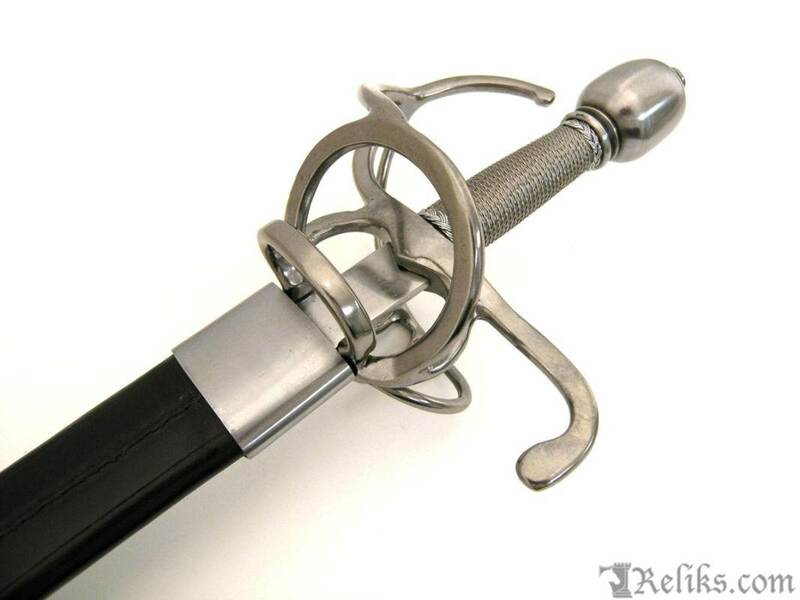 There are several of these swords in different private and public collections, one in the Wallace Collection and several at the Bavarian National Museum. 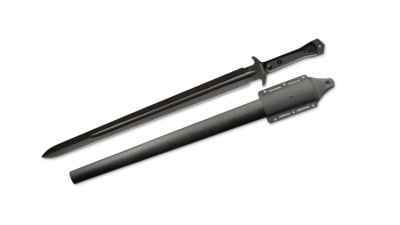 It's a perfect example of a German military cut-and-thrust swept hilt carried by the Munich Town Guard. 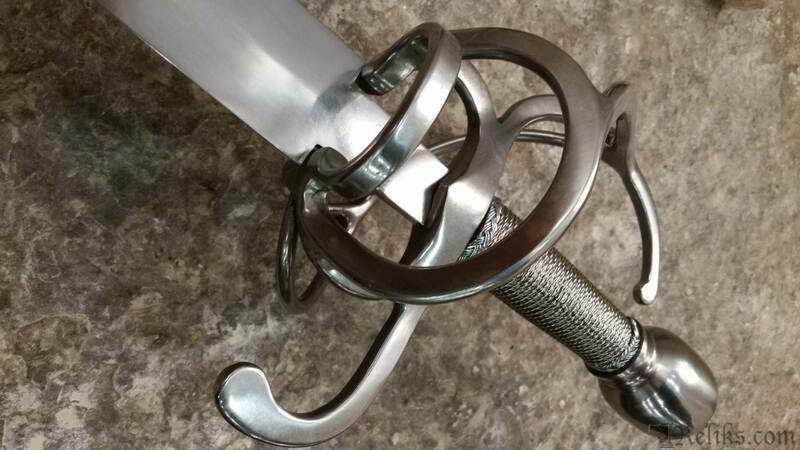 The slightly shorter blade and stout hilt were perfect for breaking up a street fight or tavern brawl, as the town guard was often employed to do, and was clearly intended for practical use. 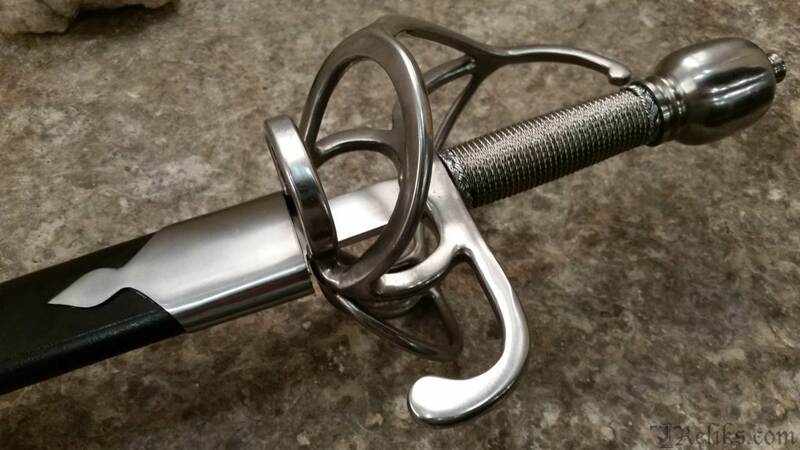 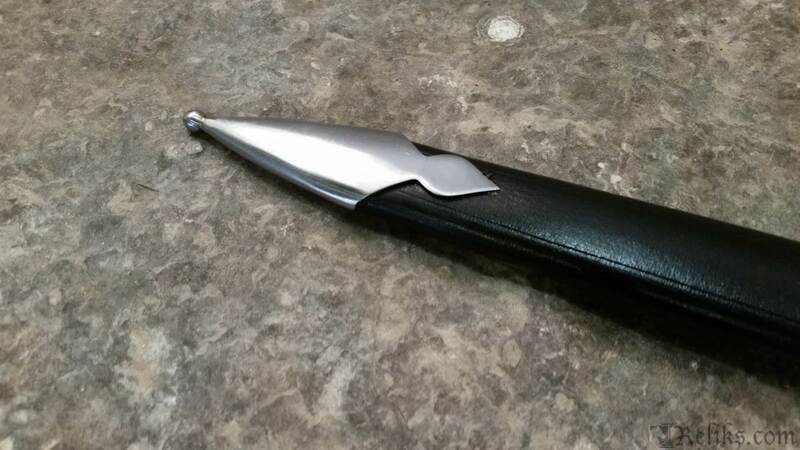 One of the most practical and prolific swords we have ever offered. 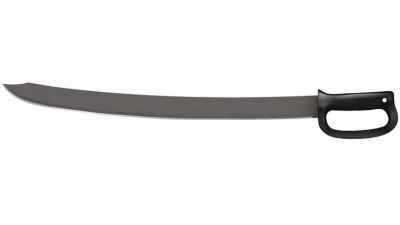 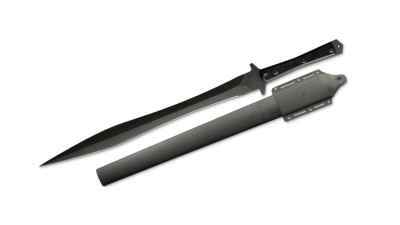 Has a well-tempered 1085 high carbon steel blade. 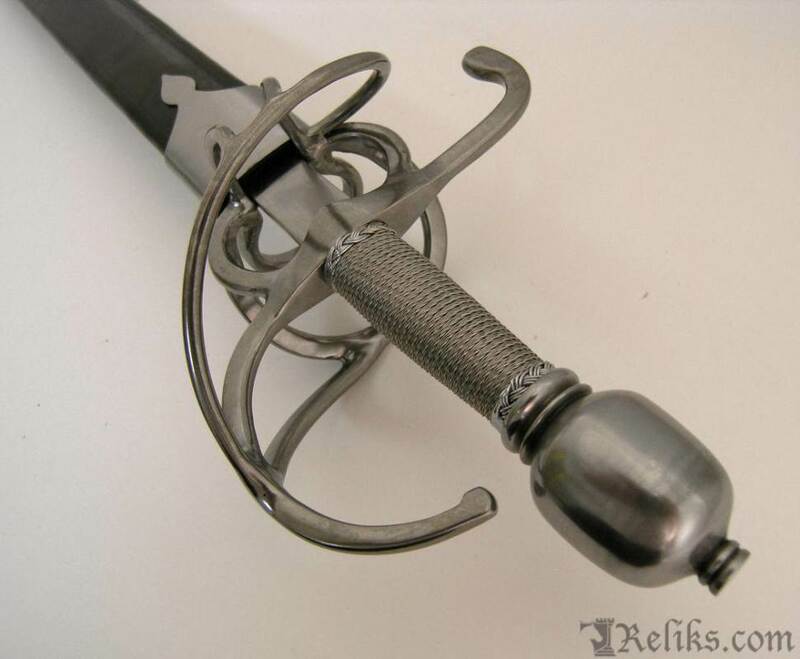 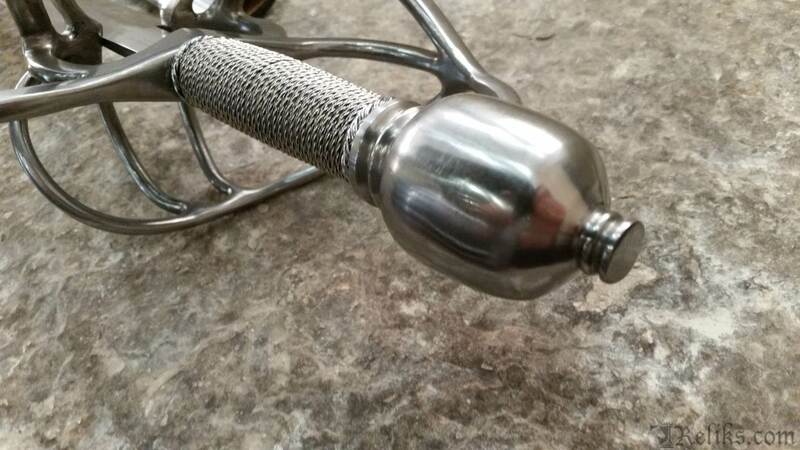 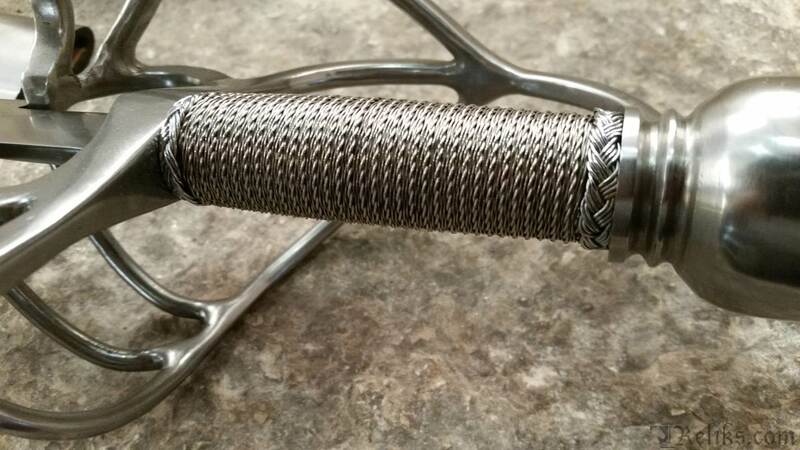 The pommel and guard are steel and the grip is wood wrapped in twisted steel wire for a very positive hold.